Colour it. Wash it. Do it again. 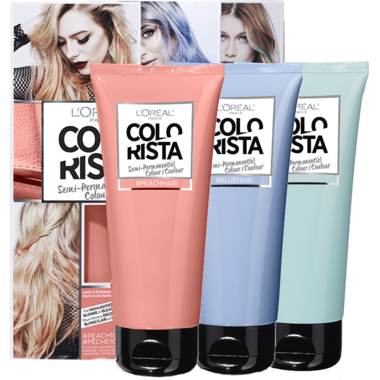 L'Oreal Paris Colorista Semi-Permanent Colour allows you to experiment with vibrant hair colours lasting anywhere from 4 to 10 Shampoos. These colours will blend with your natural hair pigments, giving you a unique signature look, and you can experience a different shade following each wash! 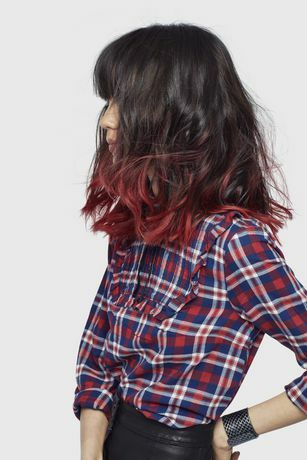 The Direct Dye solution with conditioning elements guarantees an easy, comfortable and moisturizing application. The formula is entirely vegan, and excludes all hair and skin harming chemicals such as Sulfates, Ammonia, and Peroxides. 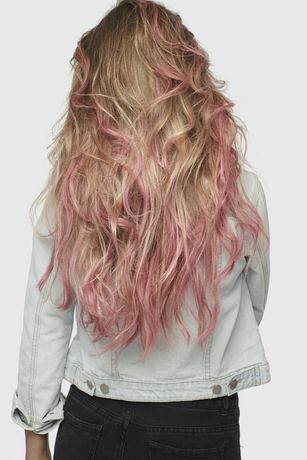 To achieve a trendy Pastel hair colour, mix your Colorista Semi-Permanent with Colorista’s Clear Mixer! Teal, Purple, Burgundy, and Red shades even work on brown hair without bleach! I got the soft pink colour. I have naturally light brown hair with blonde ombre ends. This stuff was incredibly easy to use - I apply it mostly to the ends but kind of everywhere, don't really worry about it, and the pink only shows on the ends. I wish it lasted longer though - it's gone after 4 shampoos. Oh, and it is super conditioning! My usually dry ends are in great shape after using it.